Braun – well-regarded for its range of reliable electric shavers and other top personal grooming tools – brings you the Silk Expert 5 IPL Hair Remover, a fast, safe and effective, IPL (intense pulsed light) hair removal device that promises permanent hair reduction in as little as 4 weeks. Read our (Electric Shavers UK) Braun Silk Expert 5 review to find out. 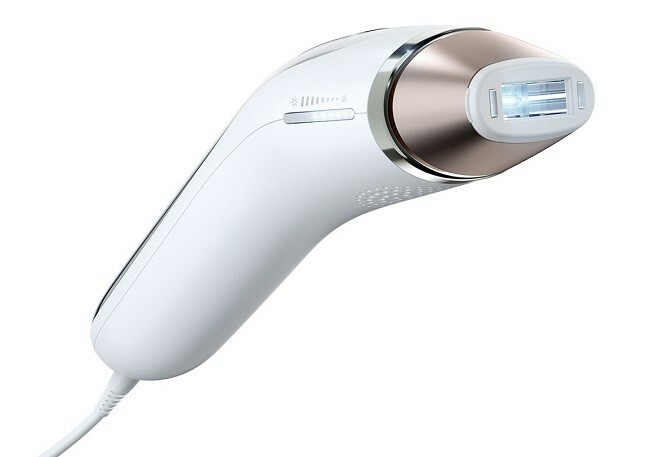 Braun’s Silk Expert 5 uses revolutionary IPL (intense pulsed light) to remove body hair. Unlike mechanical (tweezers, threading and wax strips) or chemical (caustic creams) depilatory products, the Silk Expert 5 attacks hair with a burst of light energy. Melanin-rich hair follicles effectively absorb IPL and convert it to heat, arresting the hair growth cycle. With regular application, intense pulsed light significantly diminishes regrowth, resulting in smooth, hair-free skin. 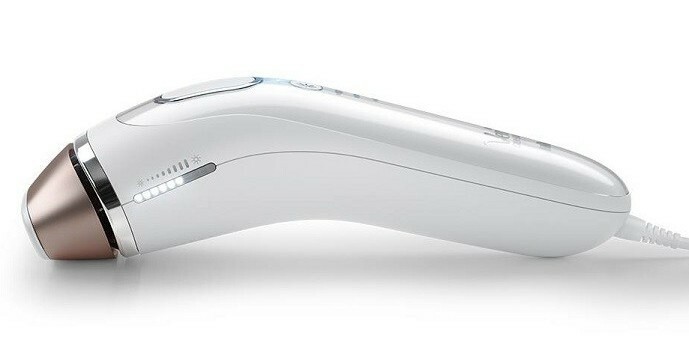 Leave it to Braun to develop the world’s fastest-pulsing IPL device. The Silk Expert 5 emits a burst of the highest-output light every 1.9 seconds – an unparalleled combination of power and speed. What that means for you is more performance in less time. Braun’s IPL Silk Expert 5 is compatible with many skin and hair types, though provides optimal results on light to medium-dark skin, and natural blonde to dark brown or black hair. If IPL technology has one downside, it’s that it doesn’t effectively penetrate very dark skin, or halt the growth of light blonde, red, grey or white hair. Some skin contains enough melanin to prevent light energy from reaching hair follicles, while light hair contains too little melanin to absorb intense pulsed light. Bear this in mind when deciding if IPL is right for you. Braun is a leader in intelligent technology, incorporating performance maximizing sensors in many products – including the Silk Expert 5. SensoAdapt™ is unique among IPL devices. Many feature sensors, but most make analyses just once per session, or at predetermined intervals. However, Braun’s SensoAdapt™ technology measures skin tone before each pulse of light, and adjusts power output accordingly. This matters because skin tone across the body is variable – one area may require more or less energy than another. SensoAdapt™ reads skin tone an incredible 80 times per second, ensuring not only efficacy, but comfort. The Braun Silk Expert 5 can be used in gliding or precision mode, to treat both large and small areas. Holding the treatment button triggers the gliding feature and releases more flashes of light, allowing you to glide the device over your body for greater coverage. Small areas, or those where hair grows more densely, can be treated by pressing and releasing the button to deliver a precise burst of light. Additionally, three user-selectable intensity levels – extra gentle, gentle and normal – allow you to tailor the power output to your needs. The only mode in which SensoAdapt™ isn’t activated is extra gentle, which reduces the energy level to a minimum – ideal for beginners, sensitive areas, and maintenance use. Knowing that we already use smartphones to track many activities, Braun created the Silk Expert 5 IPL app. Available for Android and iOS, the app’s integrated calendar helps you track your treatments and progress, and clearly demonstrates how SensoAdapt™ technology works. Using the app is entirely optional, but can be of great help if you keep a busy schedule. We were pleased to see that Braun included its Silk-épil SkinSpa sonic exfoliator with the Silk Expert 5 IPL. Exfoliation – the process of removing dead skin cells – is usually performed by scrubbing the skin with an exfoliant. 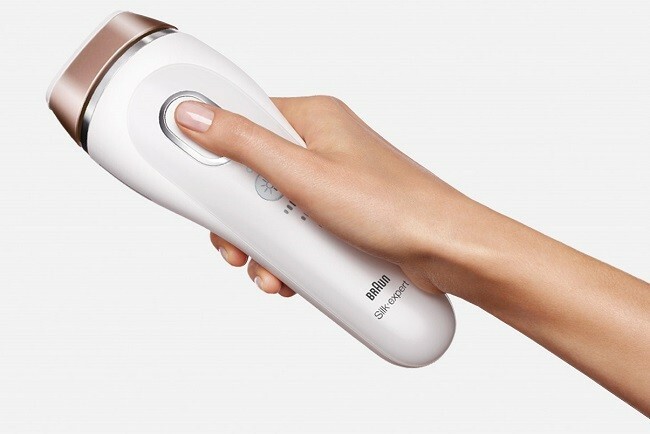 Braun’s Silk-épil SkinSpa takes a different approach, emitting thousands of rapid micro-vibrations, sloughing off old cells and revealing healthy, glowing skin. Sonic exfoliation is mess-free, and up to four times more effective than other methods. 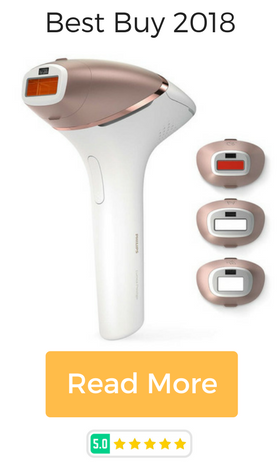 It’s a perfect complimentary tool to a good IPL hair removal machine. There isn’t much not to like about the Braun Silk Expert 5 IPL. It doesn’t come cheap – but neither do other such devices, and it more than pays for itself in the long run. An average consumer rating of 4 out of 5 stars reflects widespread satisfaction with its performance, and we’re inclined to agree. If you’re interested in IPL, try the Silk Expert 5 – it’s a great alternative to shaving, plucking or waxing, and the included sonic exfoliator is a welcome addition to an already excellent hair removal device.